Chris Jeans was appointed as the Artistic Director of Music at Rigid Containers Youth Brass 2000 in April 1989 a position he has held now for 27 years, and the longest unbroken serving conductor involved with any youth brass band. The only thing that has changed is that the band is now just Youth Brass 2000. The band is the current National Youth Championship Section Champion Youth Band of Great Britain, Butlins Mineworkers Youth Band Champions, British Open Youth Band Champions, Action Research National Youth Entertainment Champions of Great Britain, BBC Radio 2 Youth Band of the Year and Runner-Up European Youth Band Champions. Youth Brass 2000 has won many major awards and has performed numerous times at the School Proms, held at the Royal Albert Hall in London and has travelled over much of Europe. Chris is regarded as one of the finest trombone players in the World, and is known as 'The Man with the Golden Trombone'. He is currently the principal trombone player of the Virtuosi GUS Band. 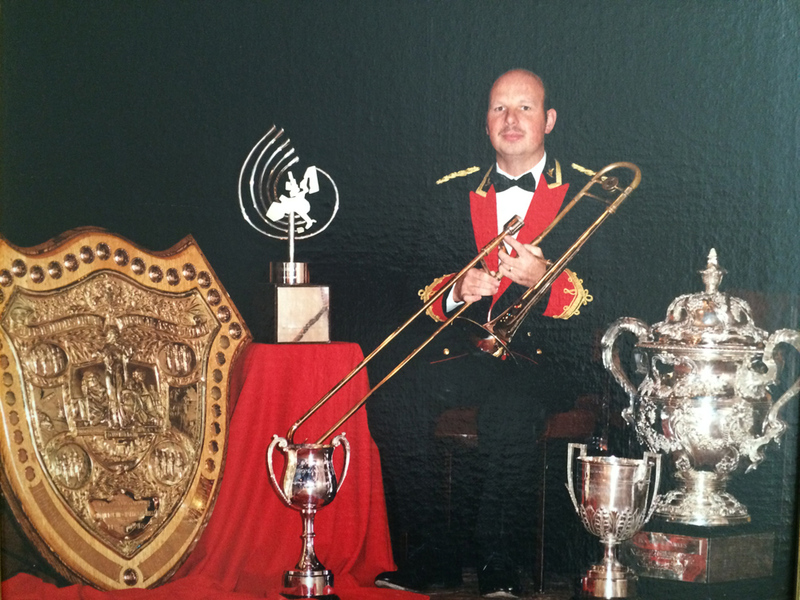 Chris began his playing career in his home town of Yeovil, before moving on to become principal trombone of Sunlife, Desford Colliery, Rigid Containers, Ransome, Yorkshire Building Society, Grimethorpe Colliery and John Foster & Sons Ltd Black Dyke Mills Band. He has held the title of Champion Trombone Player of Great Britain and won the title 'Brass in Concert Solo Champion' on two occasions. Chris has won the National Champion Band of Great Britain on seven occasions, European Championships on three occasions, Champion of Champions, International Masters, French Open, British Open Championships three times, plus hat-tricks on BBC Best of Brass and the Granada TV Band of the Year competitions, to name just a few. As a soloist, Chris has featured on television, radio and even been written about in the national press. He has toured extensively across the World, playing in many prestigious concert halls, and appearing alongside many high profile artists such as Tony Bennett, Christian Lindberg, Evelyn Glennie, Lesley Garrett and the London Symphony Orchestra. As a soloist, Chris has performed in venues such as the Carnegie Hall in New York, and the Royal Albert Hall in London, and must be the only soloist to perform at 35,000 feet in the air! Chris was the first ever brass band trombonist to produce his own solo album, his latest on the World of Brass Label 'Blue Jeans', and he has books bearing his name with EMI and Kirklees Music. Chris has been an endorsee, soloist and clinician for Antoine Courtois and Besson Instruments - now part of the Buffet Group Worldwide, a position that he has held for over 34 years. As an educator, Chris is the Brass Co-ordinator at Leicester Grammar School, a position that he has held for over 27 years. He is the trombone tutor and member of staff for the National Youth Brass Band of Great Britain. As an adjudicator Chris is regularly invited to adjudicate at the Sion Music Festival in Switzerland, Brass in Concert held in the Sage at Gateshead, the French Open Championships and Manx Music Festival in the Isle of Man. 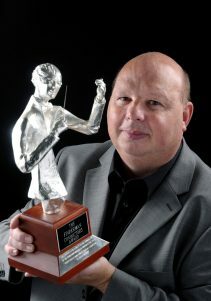 In 2009, Chris was presented with the Brian Hicks Memorial Award for his continued service and outstanding dedication to youth bands in Great Britain. In 2010 he formed his own jazz band - Chris Jeans and his 'Crazy Love Band'. In 2013 Chris was awarded the 'All England Masters International Dedicated Service Award’ and in the same year he was also awarded from the Worshipful Company of Musicians 'The Mortimer Medal', and made a 'Freeman of the City of London'. In 2014, Chris was nominated for Classic FM Music Teacher of the Year, and to also have the BBC to announce Chris, as "A National Treasure" is the icing on the cake!! In 2015 he was award the 'Maxwell Thornton Trombone Award' for the Best Trombone Player at the All England International Masters and in 2016 was awarded the title Butlins Mineworkers Outstanding Soloist. Chris has already had a very successful start to 2016, but he will also be extremely busy throughout this year with his new role as Brass Educator & Advisor for the Buffet Group Worldwide to his already hectic musical life!